Only a few regions of the mammalian brain are capable of replacement by neural stem cells, therefore it is important to develop therapies for repairing damaged brains. In striking contrast, Ciona has the capacity to completely regenerate its brain based on the contributions of pluripotent stem cells. As Ciona is a basal chordate that is the closest living relative of vertebrates, information obtained in this model may be relevant to vertebrate brain regeneration. Brain lesions resulting from stroke, traumatic injuries, brain tumors and cognitive decay during aging are maladies of great concern in human society. The vertebrate brain has an extremely limited regenerative ability, probably due to a deficiency in brain-reforming stem cells, which are, by contrast, common in invertebrates. To understand the loss of brain regeneration and to potentially correct this problem, it will be necessary to comprehend what parts of the regenerative machinery have been changed during vertebrate evolution. We will address this problem using the sea squirt Ciona intestinalis, which belongs to a group of animals (tunicates) that are the closest living relatives of the vertebrates, but have retained the power to completely regenerate their brain. We will test the hypothesis that stem cells localized in the Ciona body (more specifically, the branchial sac) are activated by brain ablation (removal) to regenerate a complete brain using spatial cues originating from the severed nerve tracts surrounding the original brain and the transcription of new regulatory genes. The study will provide novel information on the processes of neural regeneration and molecular resources that could be used in the fields of tissue repair, regenerative biology and general developmental biology. It will also help understand why the ability to regenerate the brain (and other organs) is lost in adults of most vertebrate species, including humans. Although the capacity of Ciona to completely regenerate its brain has been common knowledge, the underlying mechanisms, including the location of stem cells, the cues they use to orchestrate brain regeneration, and the genes that control this process are unknown. First, the source of cells for the regenerating brain will be determined using stem cell detection and tracing methods (check Methods for further information). Next, we will remove the residual neural tracts which were connected to the original brain, and determine the effects thereof on all aspects of brain regeneration. Finally, we will identify the regulatory genes responsible for Ciona brain regeneration by sequencing isolated branchial sac and brain transcriptomes. The main funding for the project has been obtained from public and private sources, and will go towards all laboratory and travel expenses as well as provide part of the investigators' salaries. The funds raised through this campaign will be used as part of my own salary during the visit to the marine biological station in the second half of 2018, when the anatomical dissections and mRNA isolation from regenerating animals will be executed. Spela Goricki's project is a vivid example of how marine laboratories can contribute to the advancement of science, e. g., by providing living model organisms for evolutionary biolgy. As the director of the National Center for Marine Biological Resources at Roscoff (EMBRC-France), I am proud to provide material support to this research, carried out by a brilliant and dedicated team. This project will provide an unprecedented opportunity to learn why tunicates, the closest living relatives of vertebrates, can completely regenerate an injured brain, and why vertebrates themselves cannot perform this feat. The research team has years of experience working on tunicate regeneration and is exceptionally qualified to perform this project. 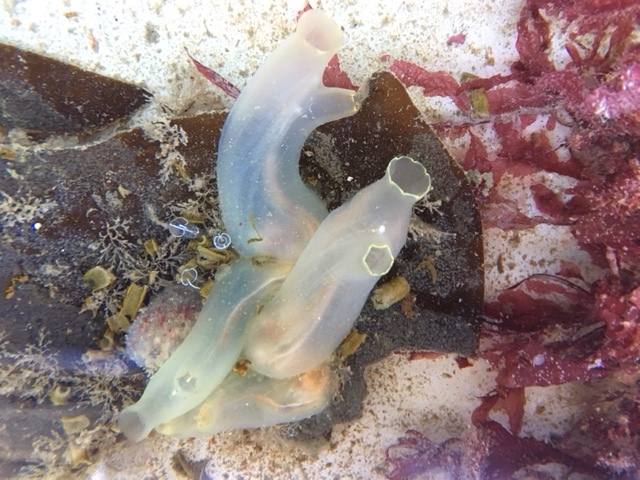 The project site, the Biological Station of Sorbonne University in Roscoff, France, farms incredibly healthy Ciona tunicates, and is an additional benefit. The project will be carried out from August through December 2018. Additional experiments will be completed in 2019. The ascidian (sea squirt) Ciona is a solitary, sedentary, filter-feeding marine animal of cosmopolitan distribution. Its translucent, soft, U-shaped body is covered with a characteristic thin leathery tunic. It is attached to submerged structures by a basal stalk, while the opposite end has two openings, the oral and the atrial siphon. Water is drawn into the ascidian through the oral siphon and leaves the animal through the atrial siphon, which also serves to release gamets. Ciona is hermaphroditic but cannot self-fertilize. Its life cycle is relatively short: the free-swimming larva (tadpole) hatches after 18 hours post fertilization and metamorphoses within a few days. Juvenile development takes about ten days. Young adults mature and become reproductive after the next few months. The animals survive for up to a year. Ascidians have powerful regeneration capacities. In colonial ascidians (e.g. Botryllus schlosseri), an individual zooid can be replaced by stem cells migrating from the remaining zooids. Solitary (non-colonial) ascidians can regenerate parts of their body, including the siphons and even the brain. The Ciona brain regenerates within about 5 weeks after ablation. Recently, the major locations (niches) containing all stem cells in the adult Ciona body have been identified. The stem cells are located in niches within the epicardium (a tissue associated with the heart), the basal stalk (a body growth zone), the intestinal tract, the gonads, and in lymph nodes lining transverse blood vessels of the branchial sac, a massive pharyngeal structure that is the respiratory and food filtering organ of Ciona. No stem cells were detected within or in the immediate vicinity of the brain, suggesting that the brain regenerates using cells from a distant source. Ciona has many advantages for brain regeneration research. 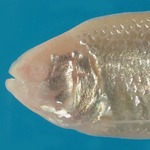 It has a small brain consisting of only about a thousand cells, yet is organized similarly to the vertebrate brain; it has a small genome that has been sequenced and genes with homologues to vertebrate genes are present; there is an extensive toolkit to sudy Ciona, including techniques to trace stem cells into regenerating organs, to produce chimeric animals, and to edit the structure of genes. Ciona also benefits from a long history as a model organism in developmental biology. This research will be carried out at Station Biologique de Roscoff, where Ciona is abundant and gravid throughout most of the year. Moreover, their animal facility staff have recently devised a protocol for rearing - to our astonishment and delight - the happiest, healthiest-looking Ciona culture in the world.